Loaded with the optic fibres of Earth’s internet, this WISE chocolate, is the ultimate in Mint conditioning. Our Mycelium Magik bar provides a blend of the world’s top three medicinal mushrooms—Reishi, Chaga, and Cordyceps. These medicinal fungi offer a wide range of immune system and life-promoting benefits. 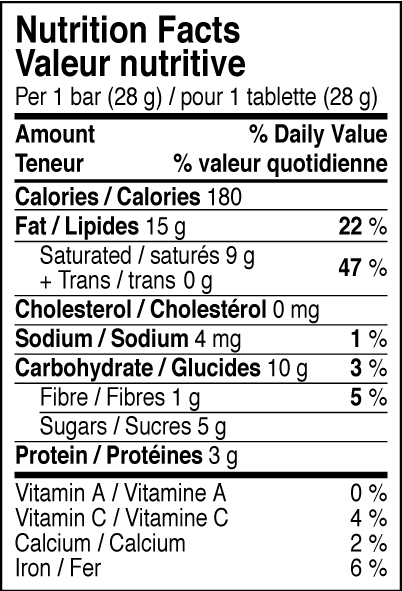 The noni in this bar means an enhanced potential for these fungi to work their anti-oxidant and anti-microbial magik. This is the perfect daily supplemental chocolate ensuring a dose of life-enhancing and immune supporting medicinal mushrooms. The king of medicinal mushrooms, Chaga, is the most antioxidant food on Earth, it is highly immunological, highly antiviral and cleanses the pineal gland with its melanin content. It is also said to be an extremophile, surviving boiling and even digestion. Chaga grows almost primarily on Birch Trees, with a life span of up to 40 years. It is considered a premiere longevity and super tonic herb. Chaga is great for anyone wishing to improve well-being, increase longevity, and activate radical awareness. In ancient Asia, Reishi mushroom was considered a greater treasure than any jewel, and today ranks as the elite substance for the attainment of longevity, radiant health, and spiritual attainment. It is the widest studied and most revered herb in history. It has been utilized for an enormous range of ailments, including cancer, immune problems, sleep problems, lung problems, high blood pressure, heart disease and many many more. Reishi is a potent immune system modulator, meaning it assists the immune system in protecting the body whether it is in a deficient or excessive state. In China, Reishi is known to strengthen and tonify the Shen energy, which is one’s spiritual energy. Known as the ‘Herb of Spiritual Potency,’ it is often used to improve meditation, release tension and increase focus. Reishi is great for those looking to improve overall health, reduce stress, improve sleep, and boost the immune system. Wild Cordycep mushrooms are found poking out the third eyes of consumed caterpillars in a specific region in the Himalayan mountains– below the snow line and above the tree line. This rare and powerful supersonic mushroom builds sexual and physical energy, boosts the immune system, and is believed to prolong life. Cordyceps are great for those looking to improve their overall energy, the lungs, and increase well-being. **Note: Wise One Cordyceps are Vegan. Used for thousands of years by the native healers or ‘Kahuna’ of Hawaii, Noni Fruit is a powerful healer. The polysaccharides of Noni are believed to assist the killing power of white blood cells in eliminating harmful foreign invaders and viruses from the body. The dynamic anti-oxidant and ormus make up of this wild fruit make it an ideal longevity and anti-aging substance, fighting free-radicals, and improving cellular regeneration and skin health. 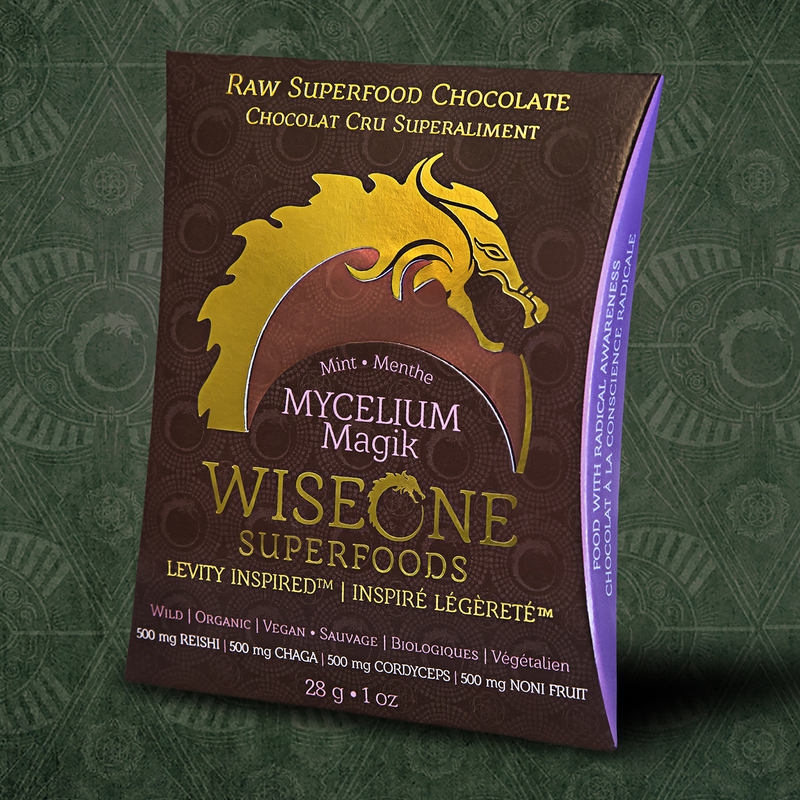 The combination of Noni and the medicinal mushrooms in our Mycelium Magik chocolate provide a wide range of life promoting anti-oxidants and polysaccharides, giving the immune system optimal tools for helping the body thrive in today’s modern world. Learn more about our wild, jungle grown cacao here. Disclaimer: WiseOneSuperfoods is an educational resource, and all information herein is strictly for educational purposes. It is not intended to diagnose, treat, prevent, or cure diseases, nor is it meant to replace the (prescribed) treatment or recommendations of your doctor or healthcare provider. Always inform your doctor or healthcare provider of any products that you are taking, including herbal remedies and supplements.